Purpose was to respond to a specific site with a piece which integrates extant / ambient sound and visual features with site specific designed intervention and to thereby create an experimental performance of a myth narrative. This project explores new ways to experience narratives and structures, not as linear stories, but as atmospheres and experiences and explores novel concepts of sound diffusion in an outdoor setting. 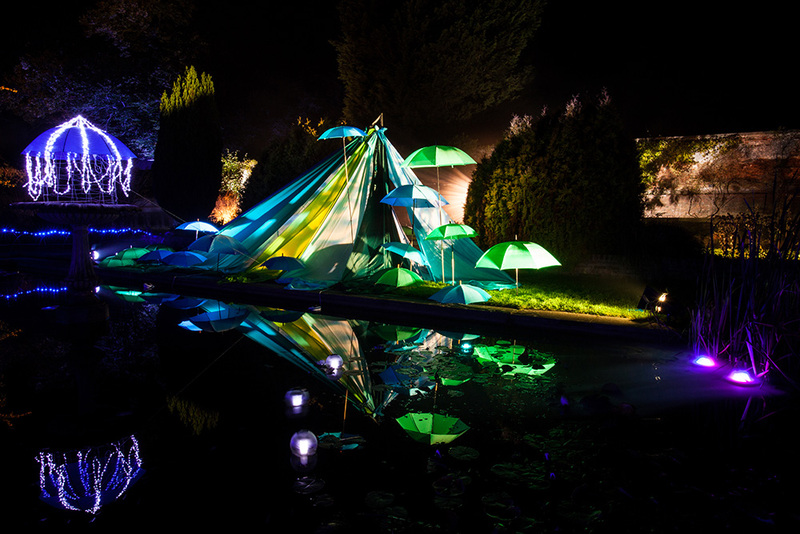 The piece was installed over 2 evenings at Picton Castle, part of the Secret Light Garden in autumn 2011. 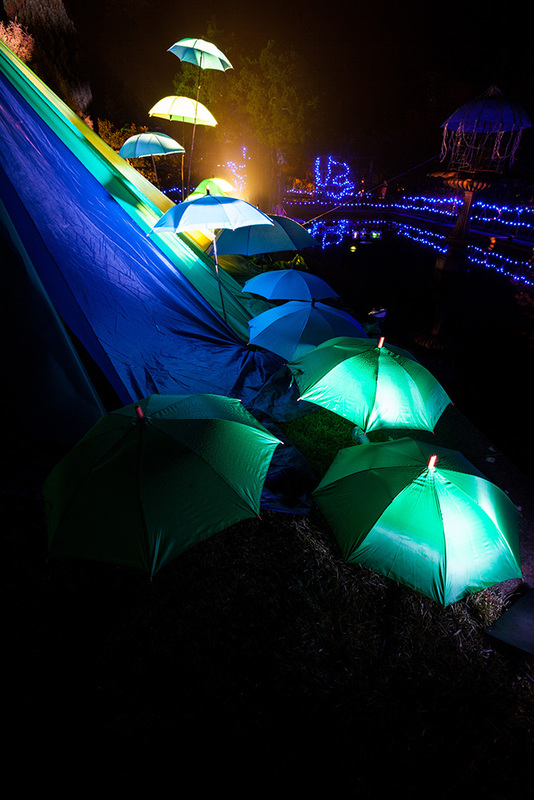 Secret Light Garden was visited by over 4000 people and the work was extremely favourably received in visitor feedback. 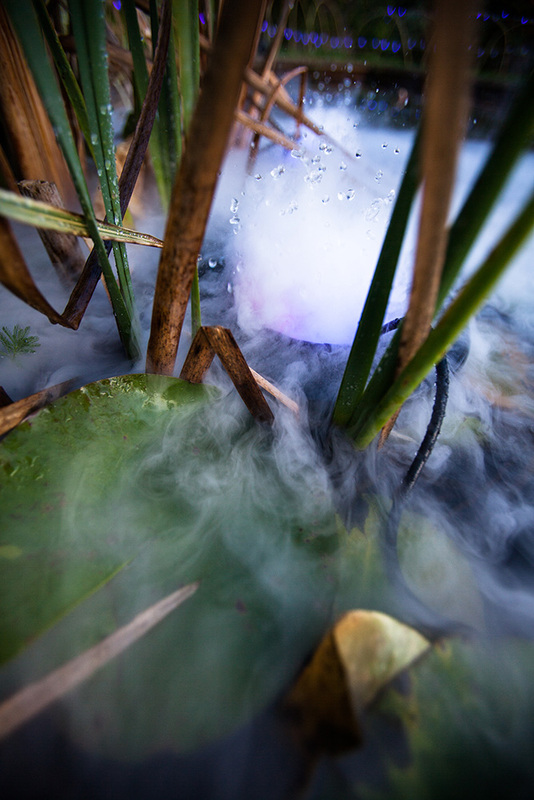 The installation was situated around the pond in the Walled Garden of the Picton Castle grounds: it consisted of speakers placed underwater as well as a number of smaller speakers that were floating along the top of the water. Sounds therefore emerged from below the water and fused with those projected above. The text and visual aspects of the piece explored the myth of the Korrigan, a celtic goddess figure who seems at night to be a beautiful siren luring men to their deaths in the water, whilst at daylight she appears as a crone. Ultimately the piece was seeking to challenge the notion of multi-channel sound performance – where the composer/performer usually distributes the sounds between the loudspeakers from a visually static position – as the small loudspeakers the wind. 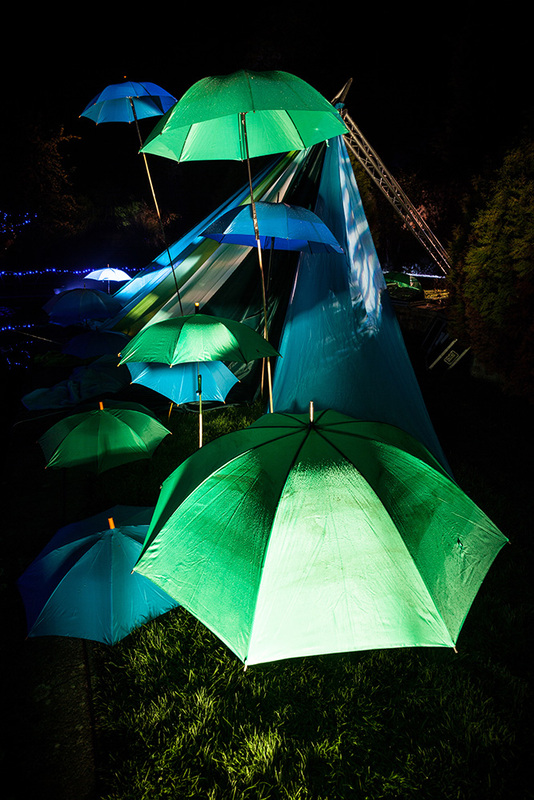 The visuals augmented the interpretation of the sound by personifying the text used and included coloured lit umbrellas, draped cloth and string lighting.